Small states are vulnerable to the effects of the global financial crisis because of their high dependence on foreign direct investment, the importance for them of export earnings, and high levels of remittances and aid flows. The crisis thus also in turn affects investment and private sector development. This Economic Paper examines the effects of the crisis on three countries: Mauritius, St Lucia and Vanuatu. Only Vanuatu is relatively resilient so far, with the effects on investment in Mauritius and St Lucia being dramatic, though affecting different sectors in each country. The policy responses followed also differ markedly. 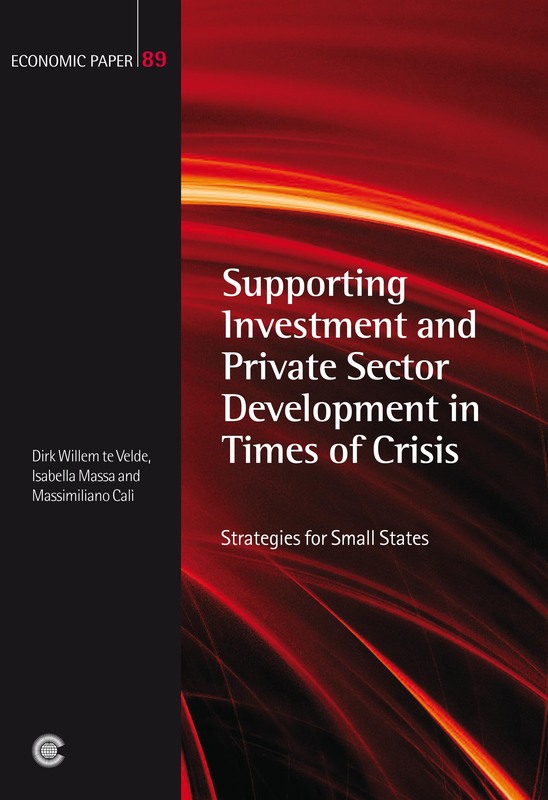 The authors demonstrate once again the vulnerability of small states to shocks, and emphasise that they are often at the receiving end of global policies, particularly so in the context of the global financial crisis. They argue that more could be done to clarify and address the greater vulnerability of many small states. 5.4 Why does this matter for investment and private sector development?